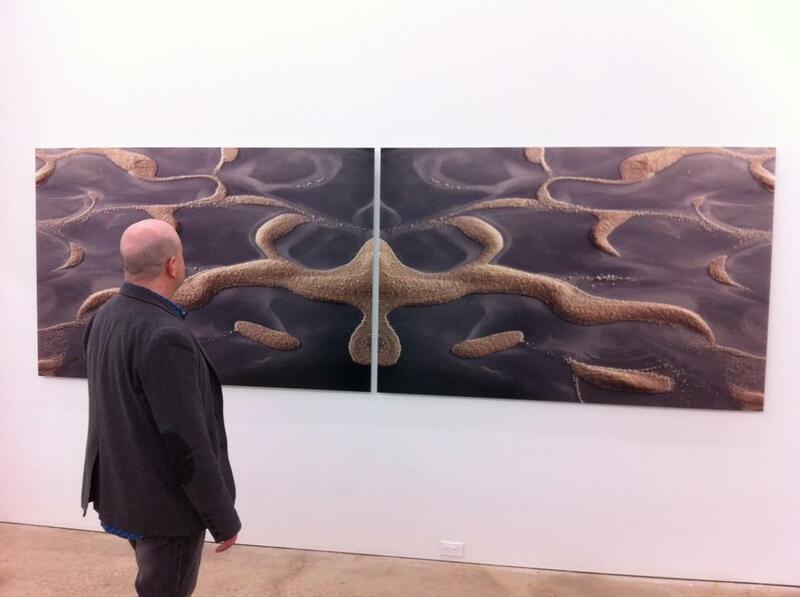 “Topographic Sound” by Gary James Joynes will only be open for 3 more nights. 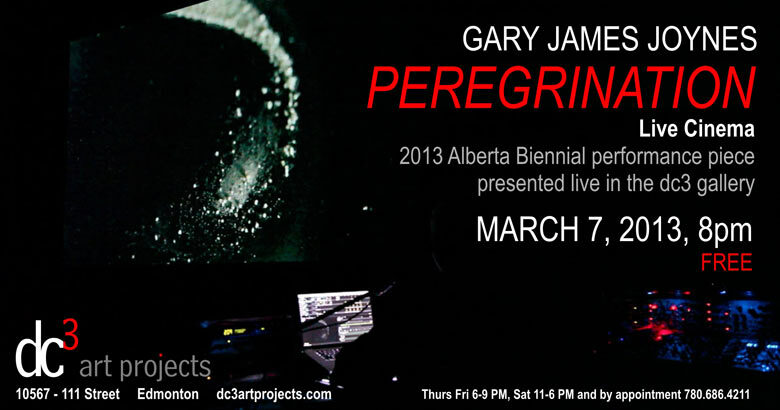 Gary James Joynes takes over the dc3 Art Projects space for a solo show of work in multiple media, all created using sound as his primary creative tool. The Topographic Sound series – from where the exhibition title is taken – explores sound as a powerful force akin to the unstoppable impact of time and nature in the formations of geology. Six very large photo-based works own the gallery main space and can be seen as graphic scores of the musician manipulating sand and sound, or as evidence of the effects of nature and vibration on a microscopic scale as it is related to the effects of much larger vibrations – earth movements and solar rotation. In conjunction with this work we are proud to host Tritone (2013) a 100 day long decaying auditory chord and it’s wall-based sculptural echo, a continuation of his Alberta Bienniale performance to its conclusion.